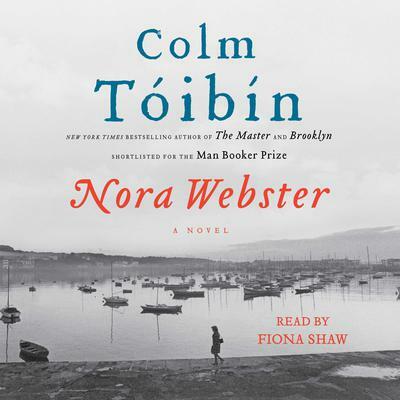 From one of contemporary literature’s bestselling, critically acclaimed and beloved authors, a magnificent new novel set in Ireland, about a fiercely compelling young widow and mother of four, navigating grief and fear, struggling for hope.Set in Wexford, Ireland, Colm Tóibín’s superb seventh novel introduces the formidable, memorable and deeply moving Nora Webster. Widowed at forty, with four children and not enough money, Nora has lost the love of her life, Maurice, the man who rescued her from the stifling world to which she was born. And now she fears she may be drawn back into it. Wounded, strong-willed, clinging to secrecy in a tiny community where everyone knows your business, Nora is drowning in her own sorrow and blind to the suffering of her young sons, who have lost their father. Yet she has moments of stunning empathy and kindness, and when she begins to sing again, after decades, she finds solace, engagement, a haven—herself. Nora Webster is a masterpiece in character study by a writer at the zenith of his career, “beautiful and daring” (The New York Times Book Review) and able to “sneak up on readers and capture their imaginations” (USA TODAY). In Nora Webster, Tóibín has created a character as iconic, engaging and memorable as Madame Bovary or Hedda Gabler.